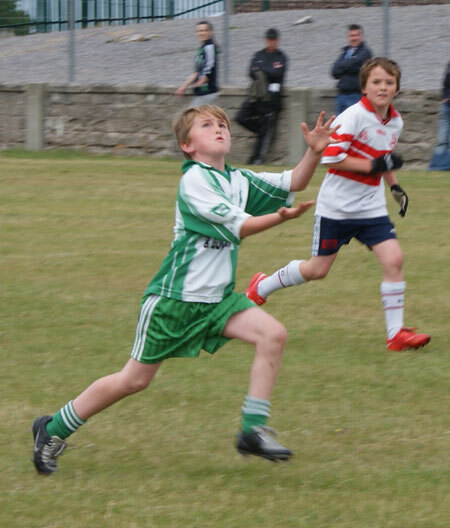 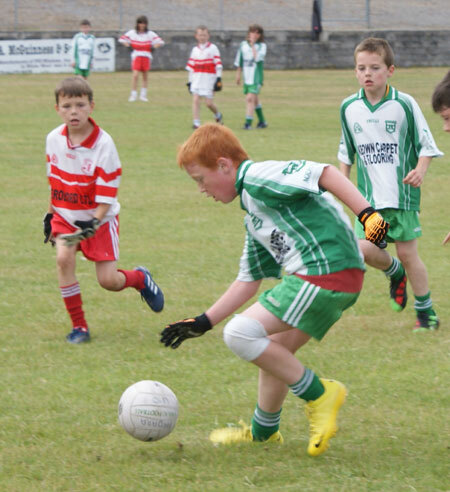 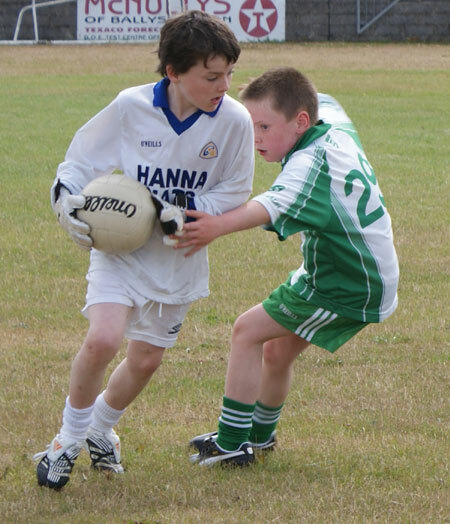 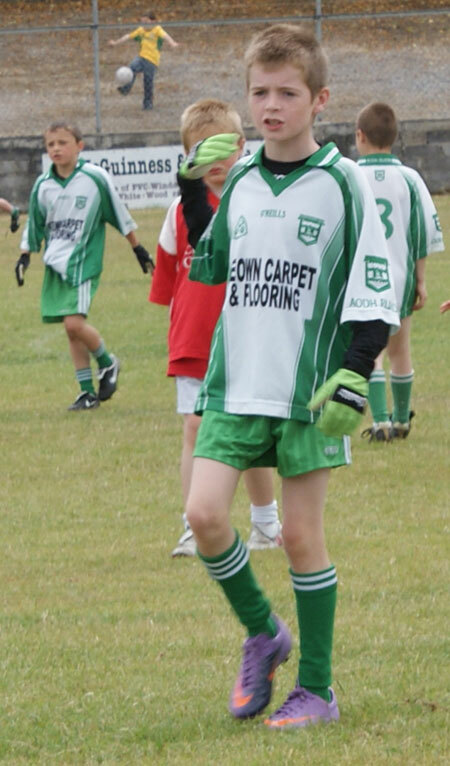 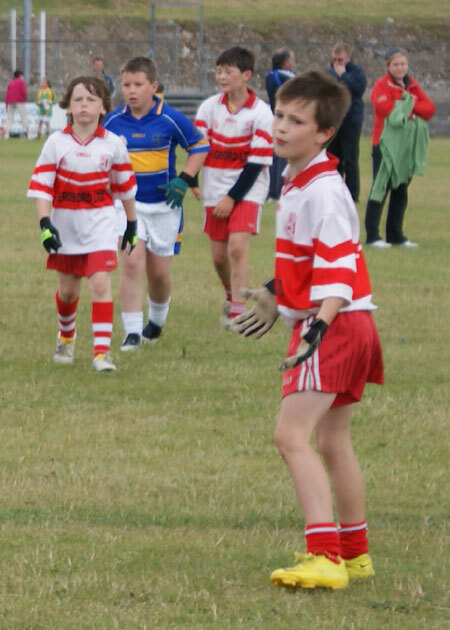 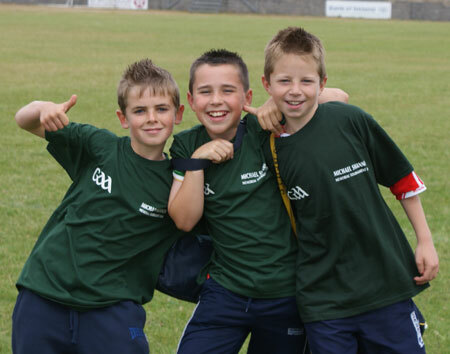 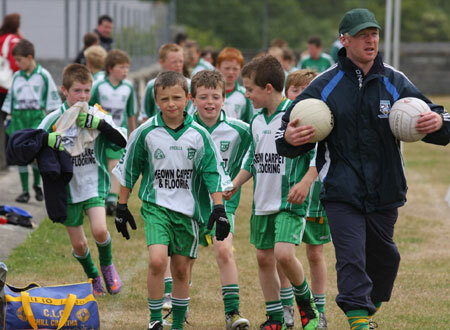 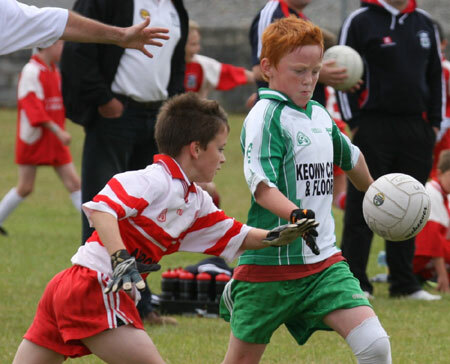 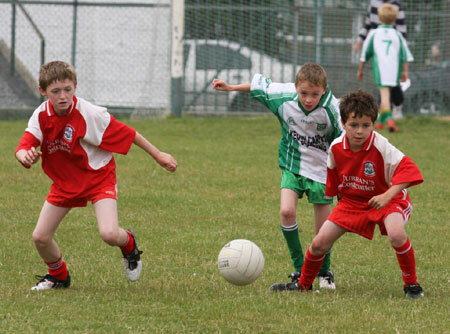 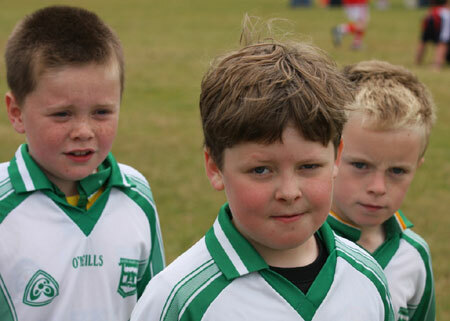 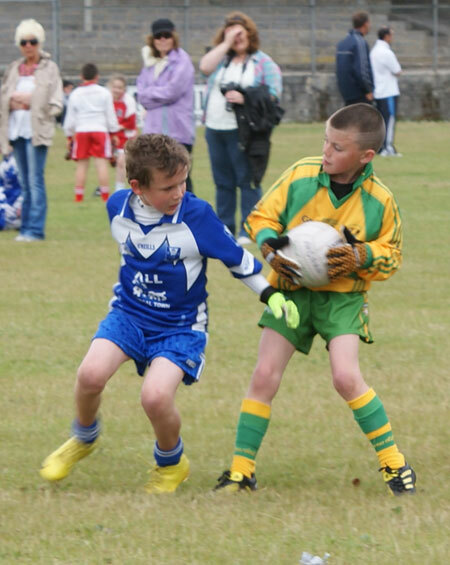 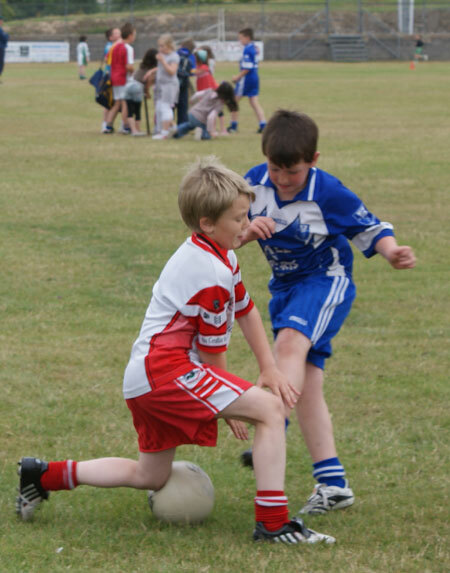 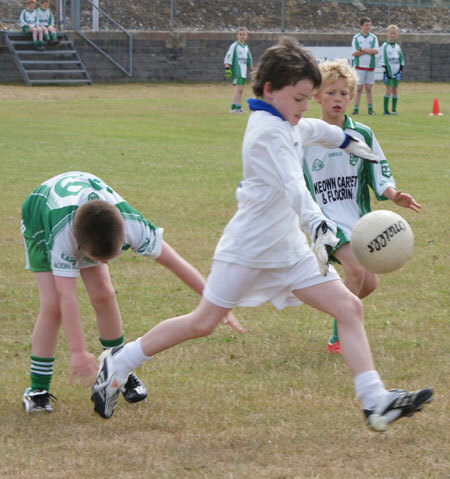 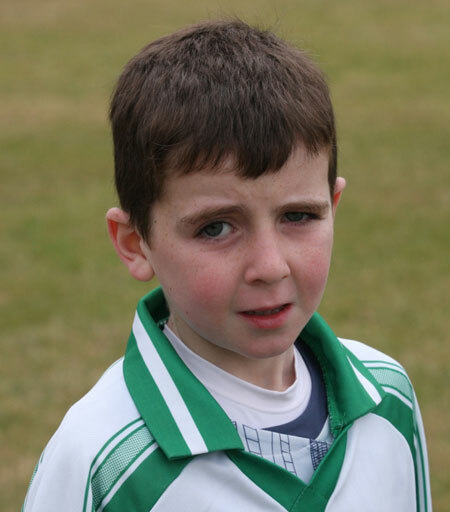 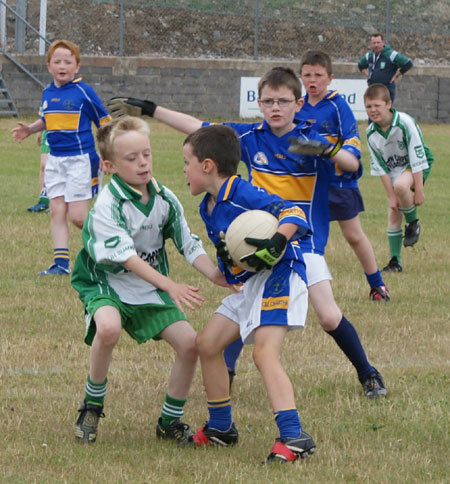 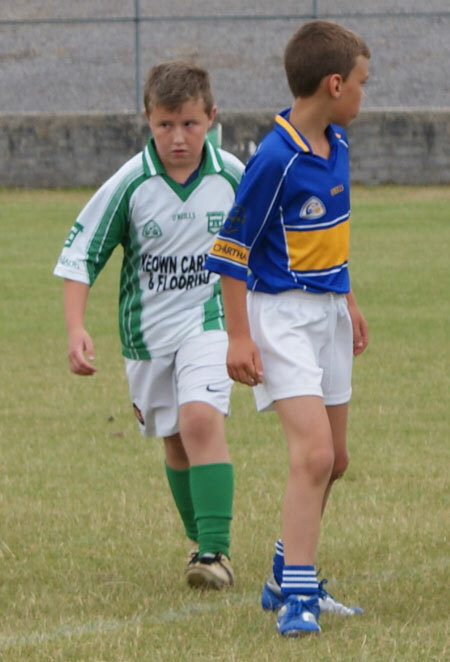 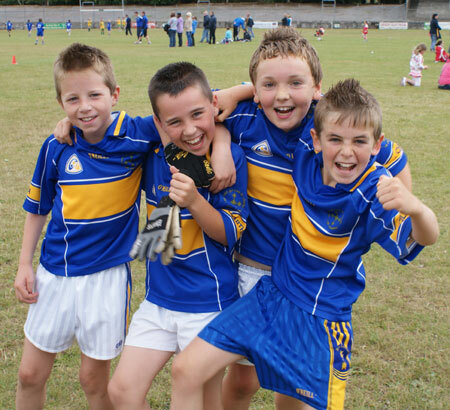 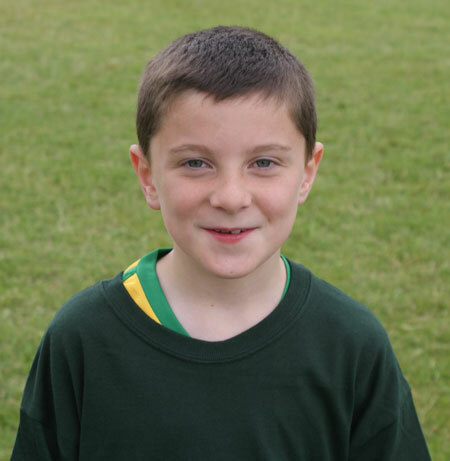 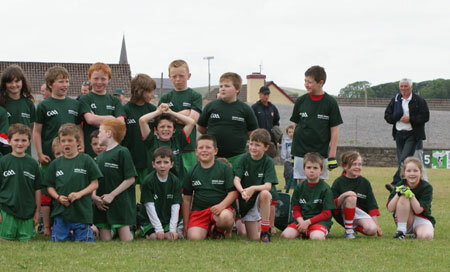 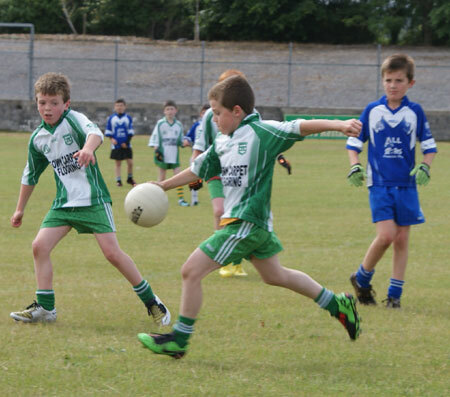 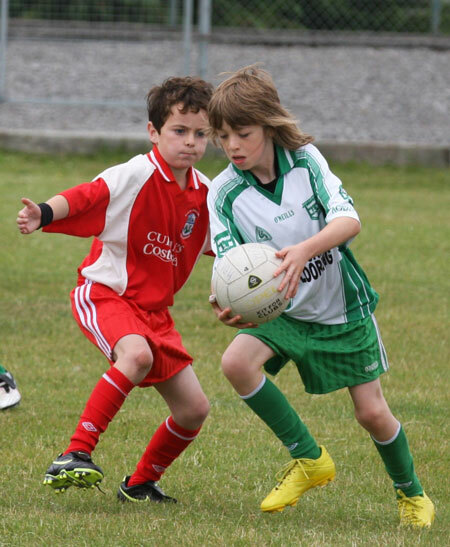 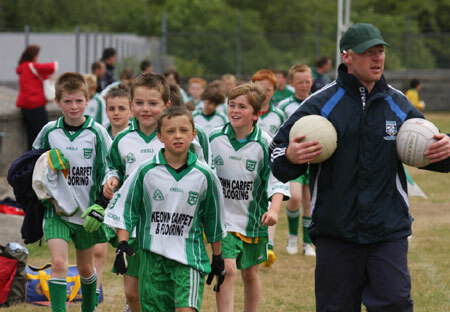 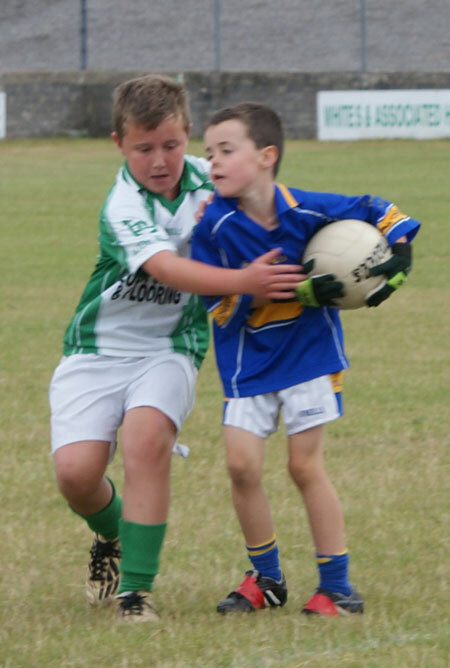 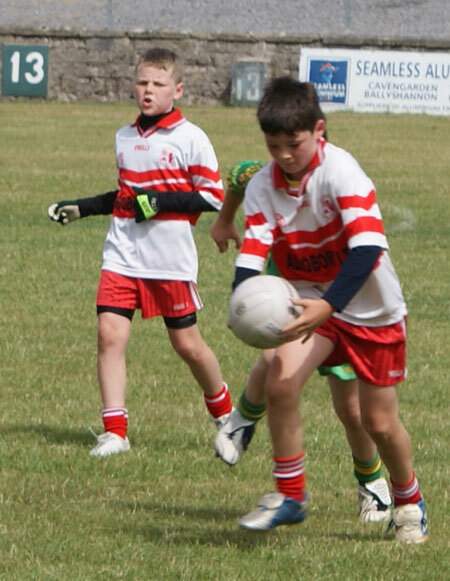 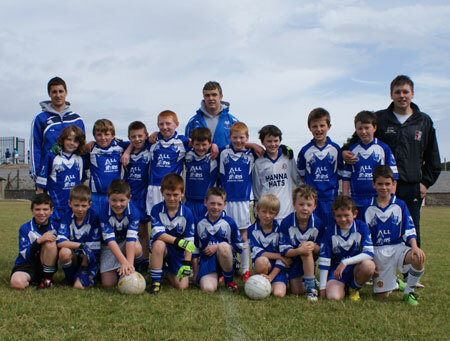 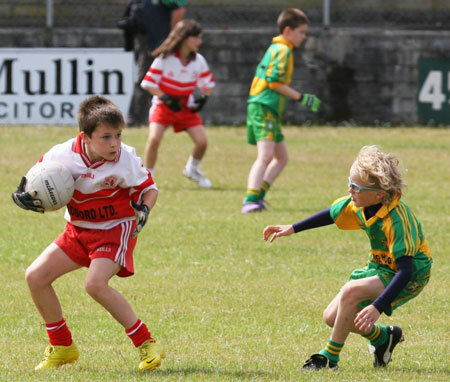 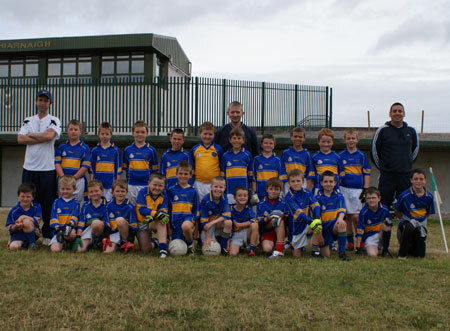 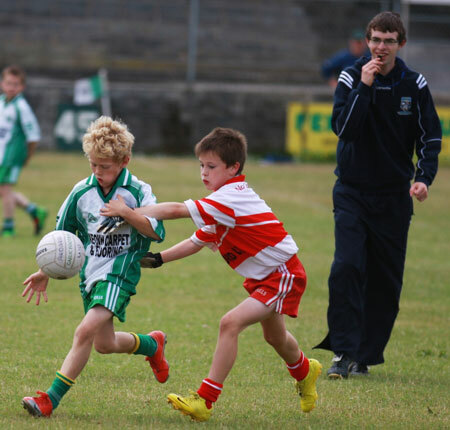 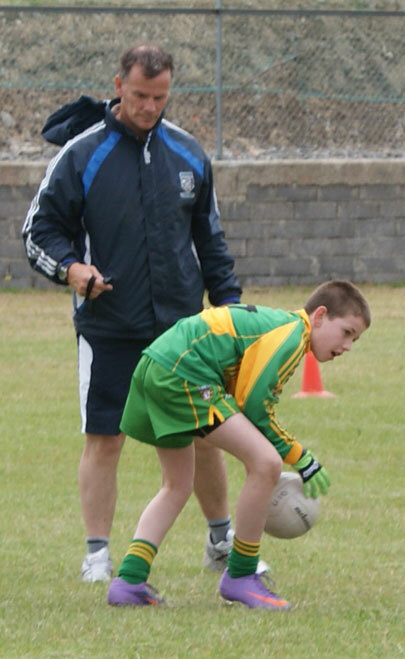 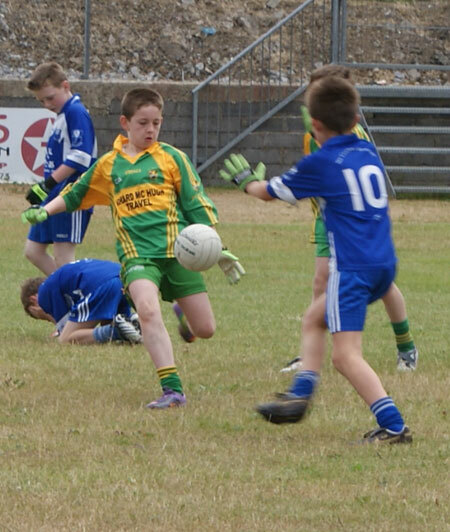 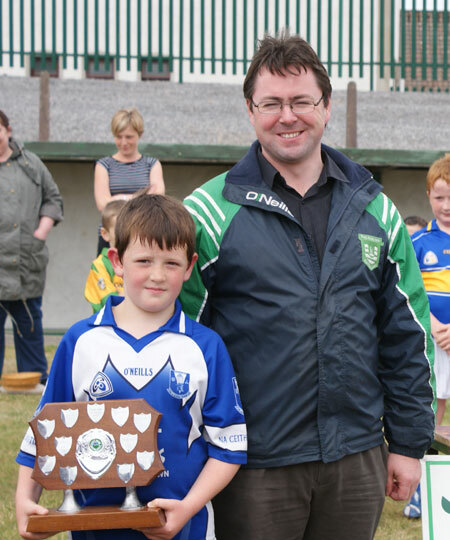 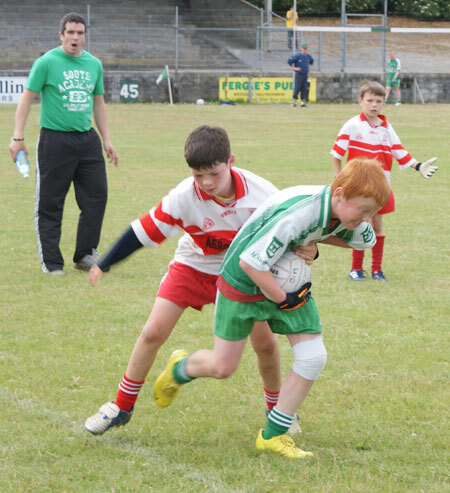 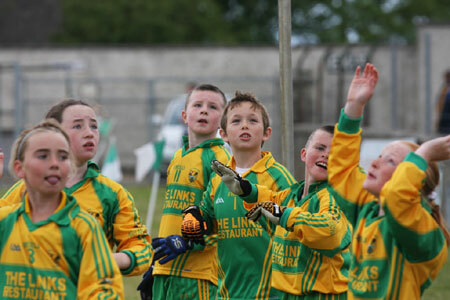 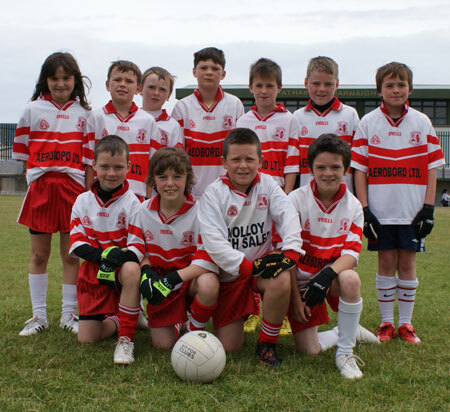 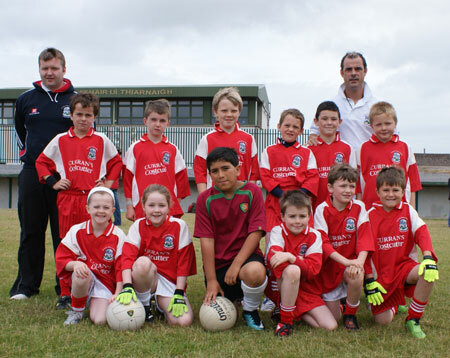 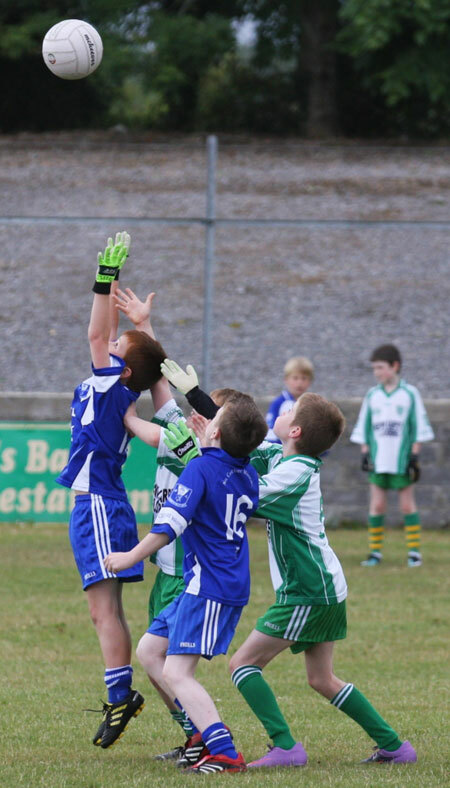 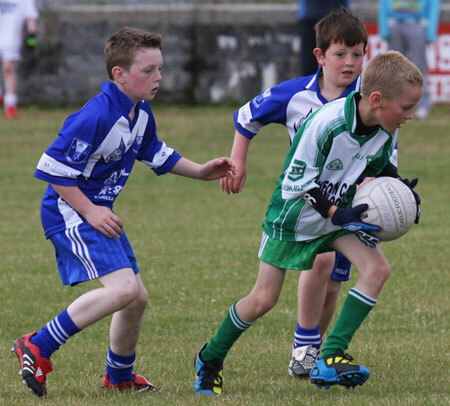 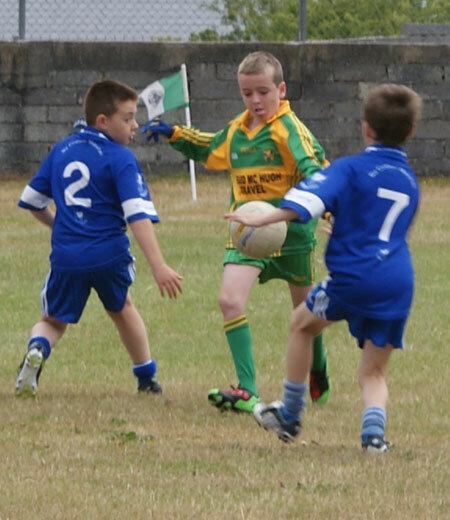 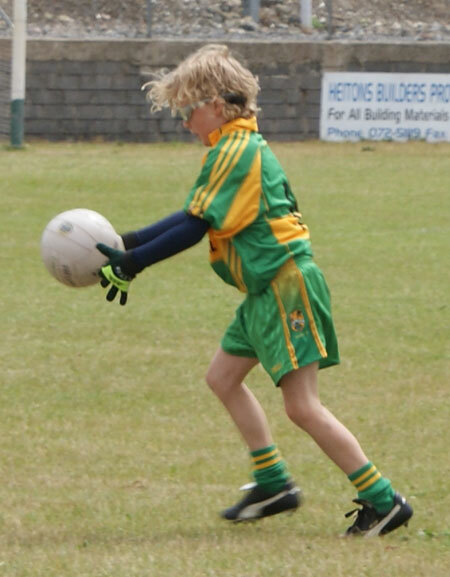 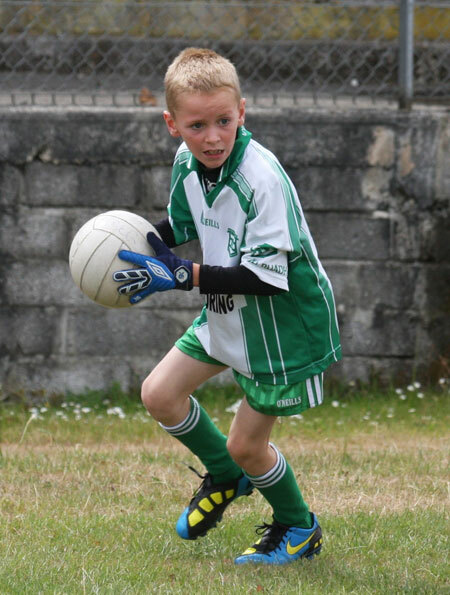 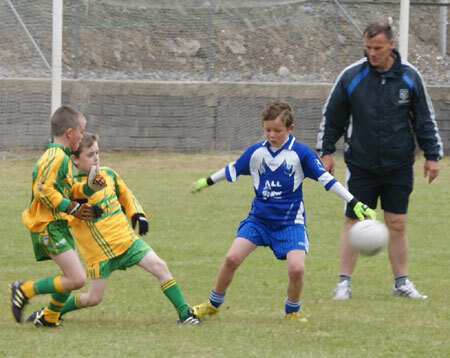 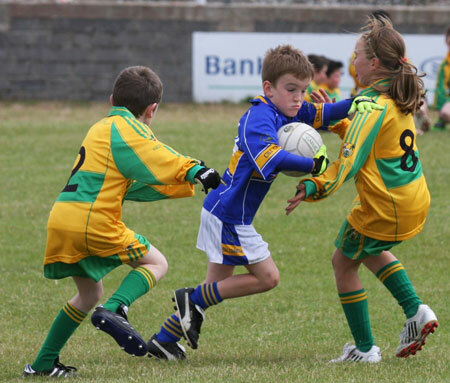 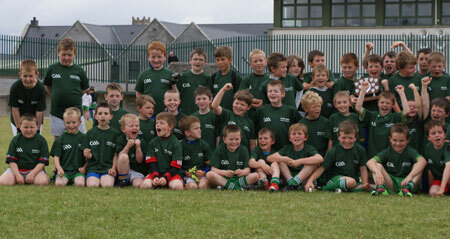 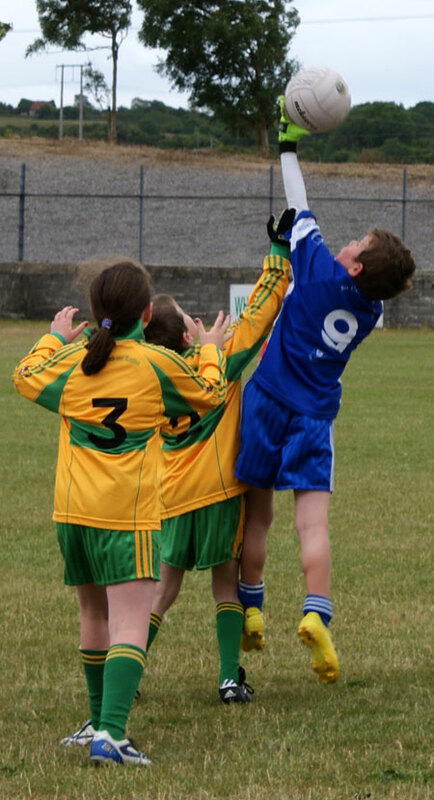 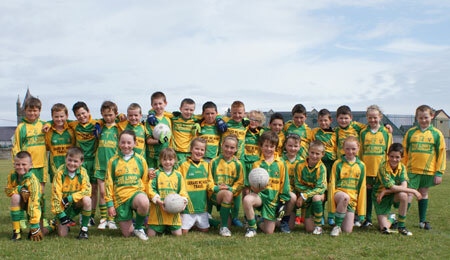 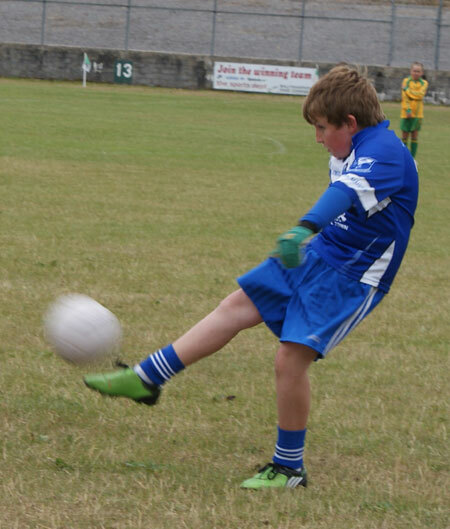 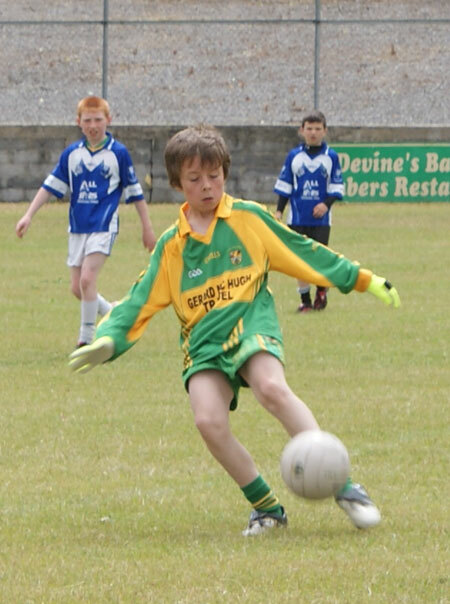 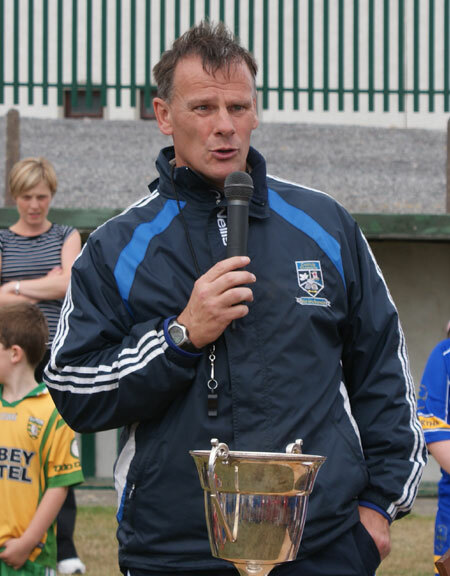 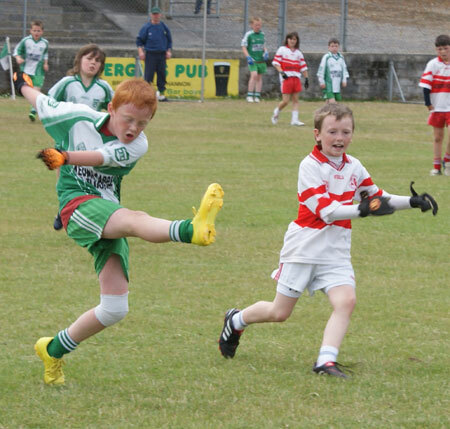 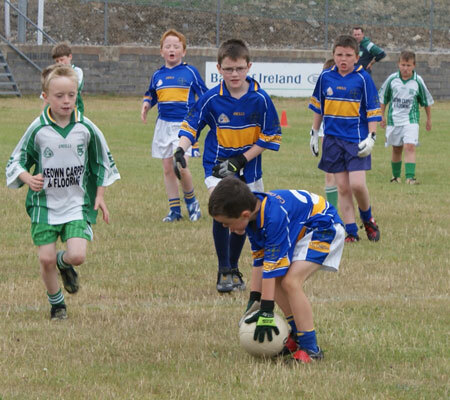 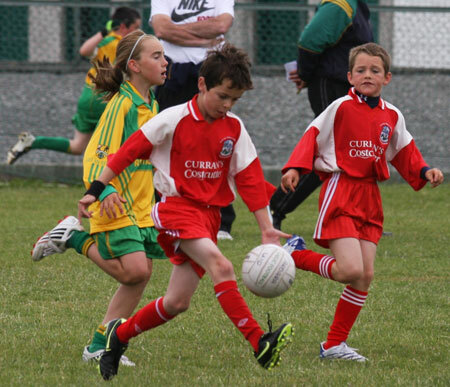 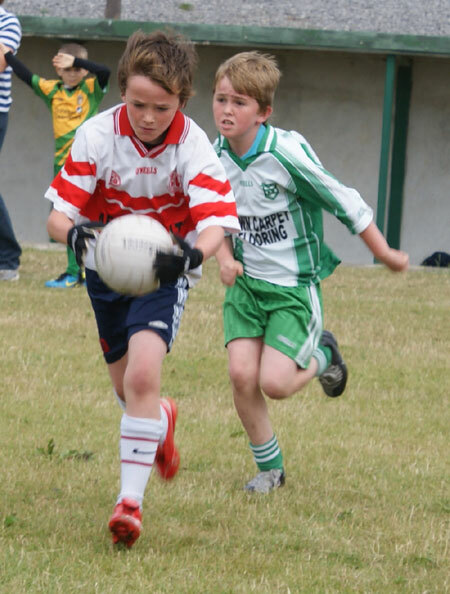 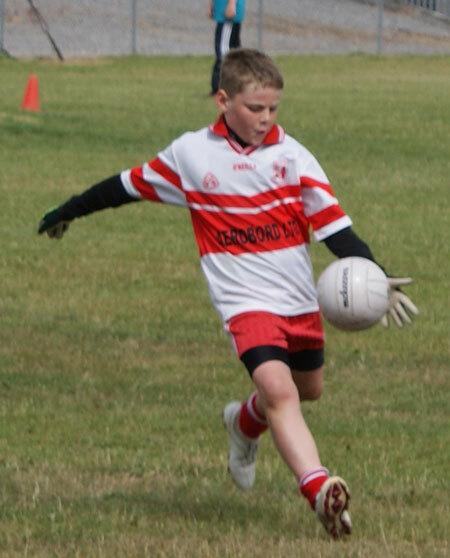 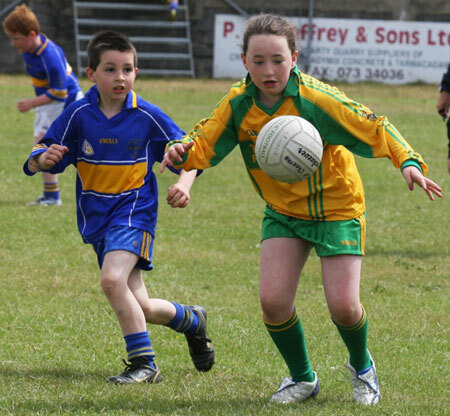 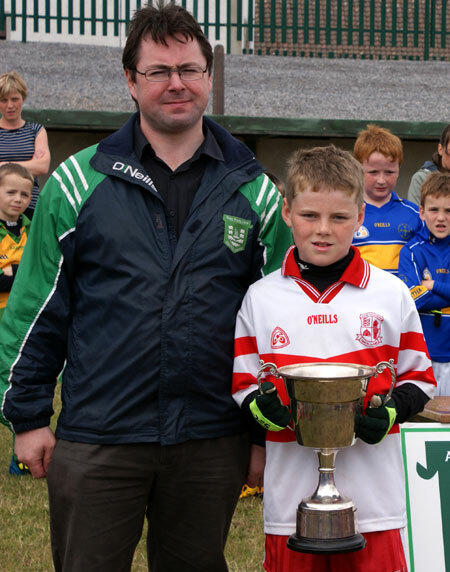 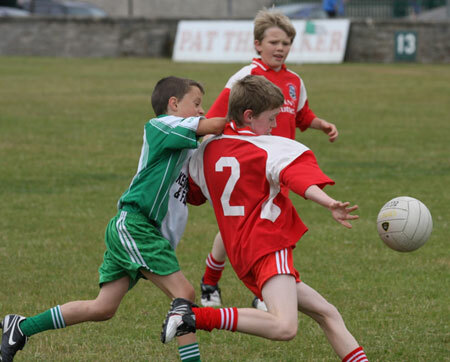 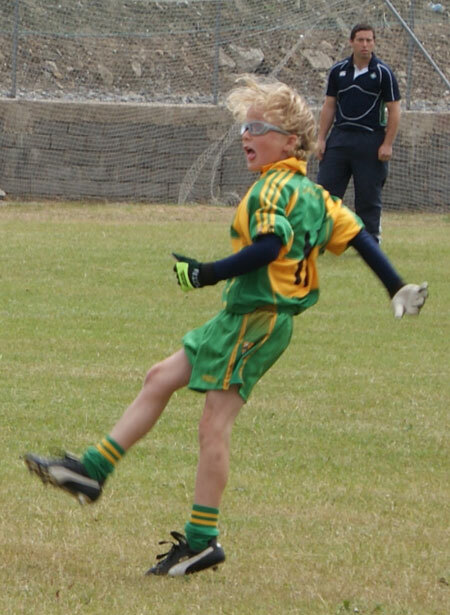 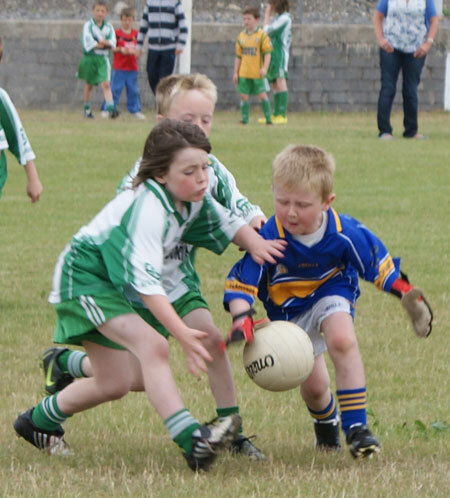 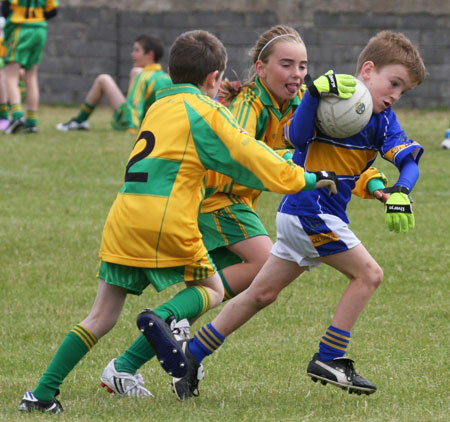 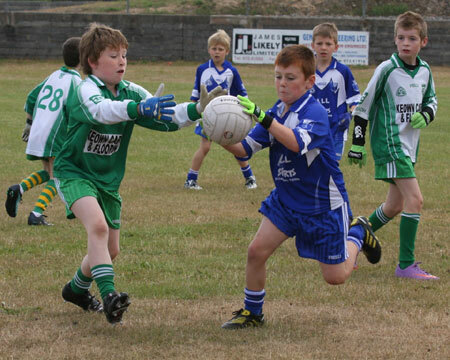 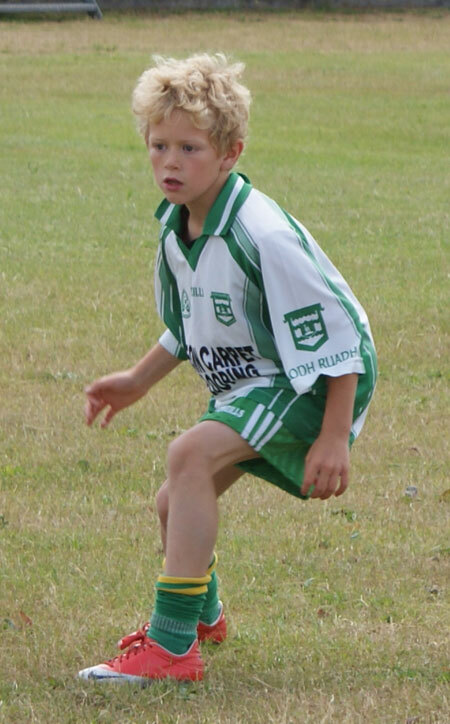 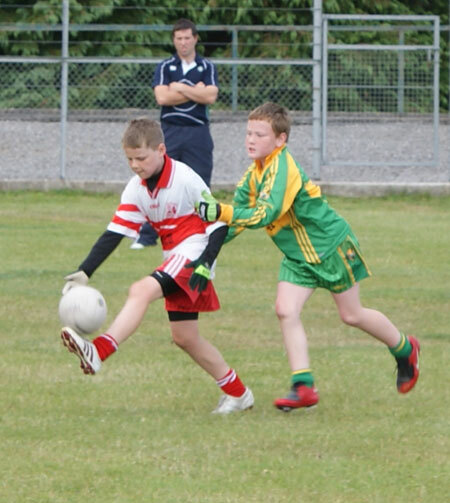 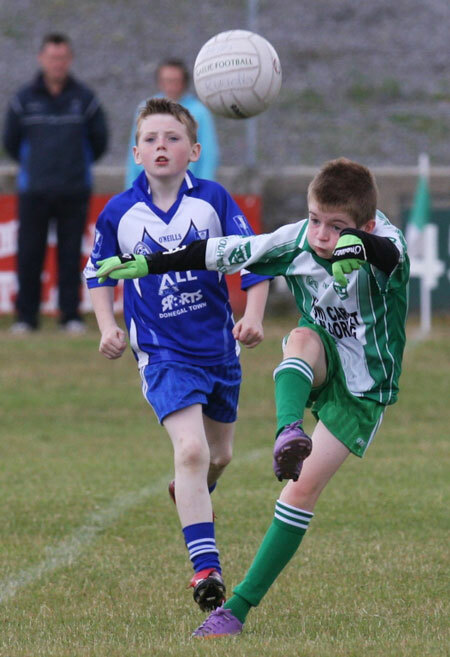 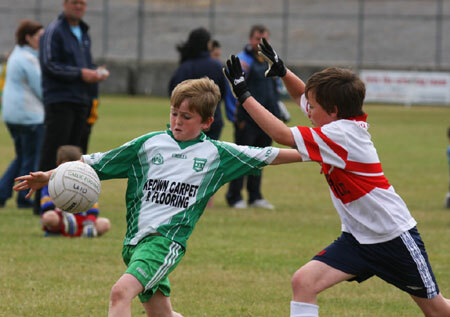 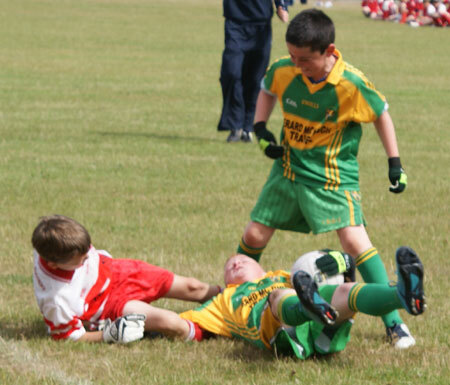 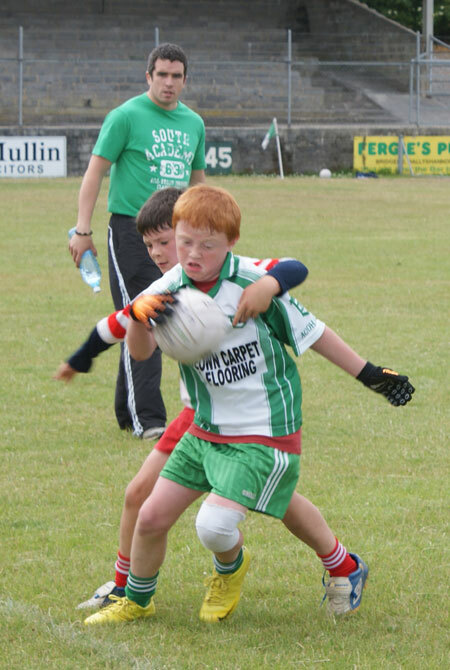 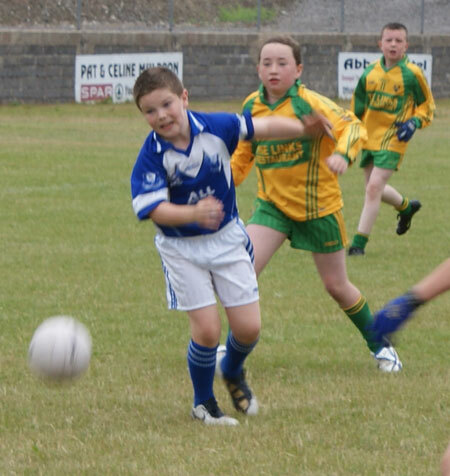 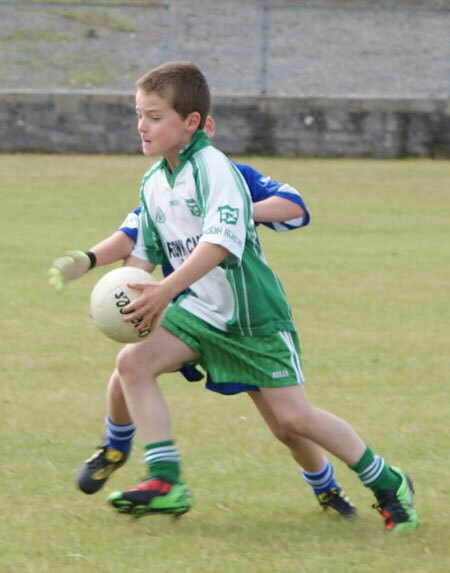 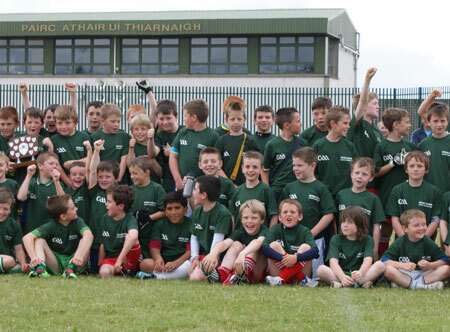 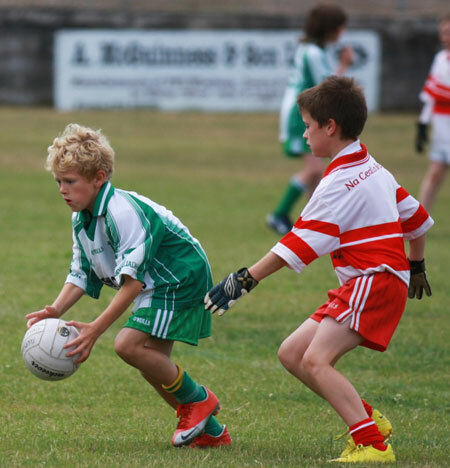 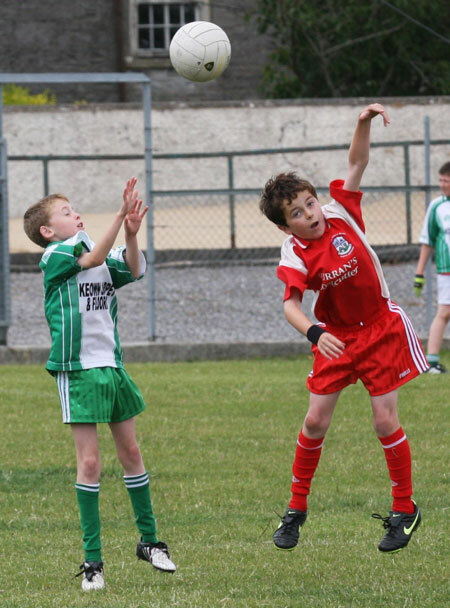 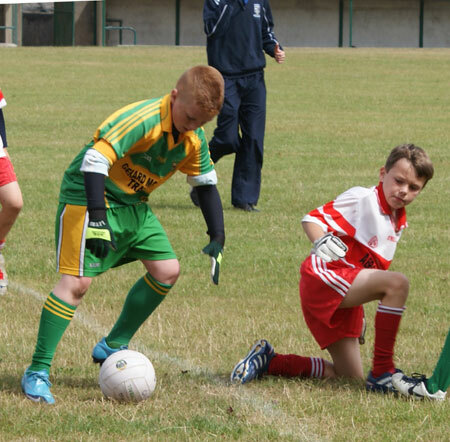 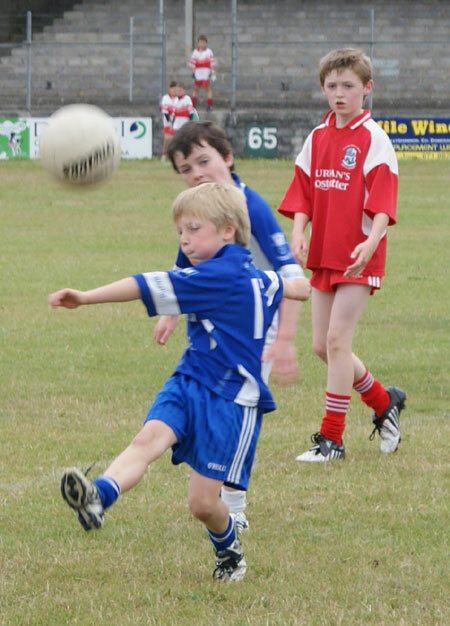 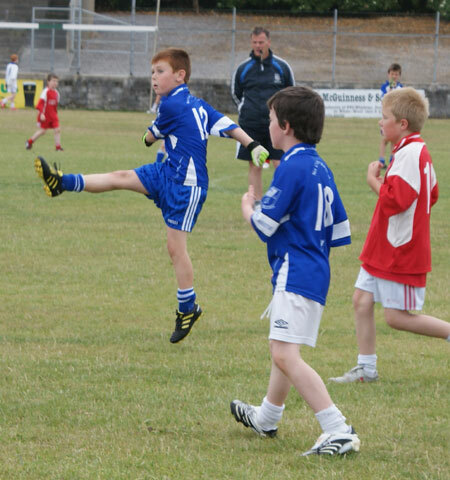 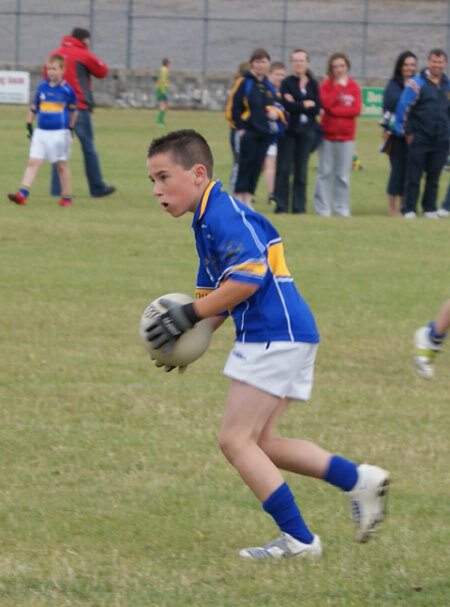 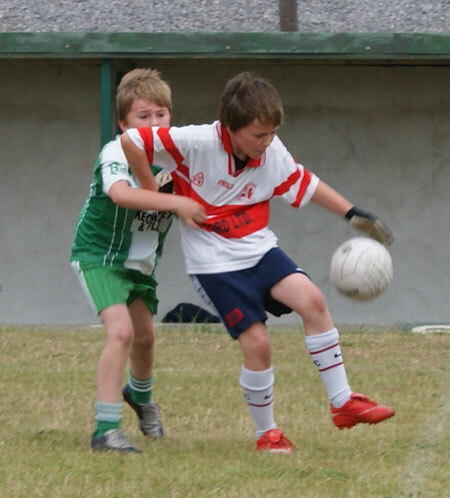 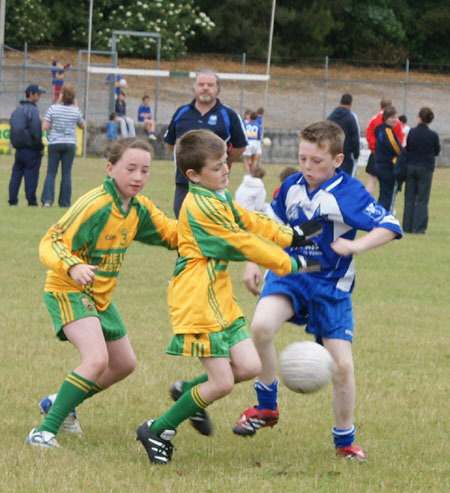 Aodh Ruadh hosted the Mick Shannon blitz in Father Tierney Park last Saturday, 3rd July, in beautiful conditions. 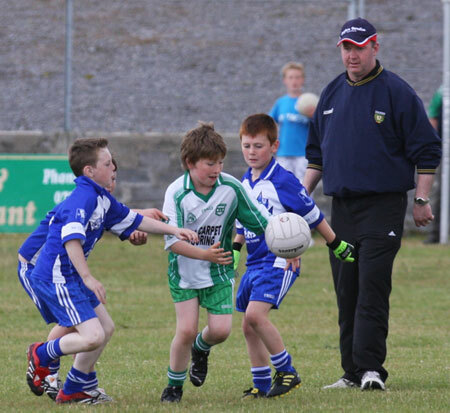 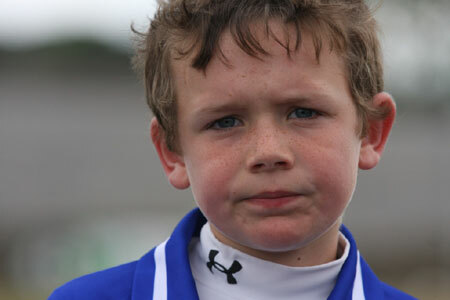 As well as Aodh Ruadh, participants included Four Masters, Killbegs, Ardara and Kilcar, all great clubs guaranteeing a high standard of competition. 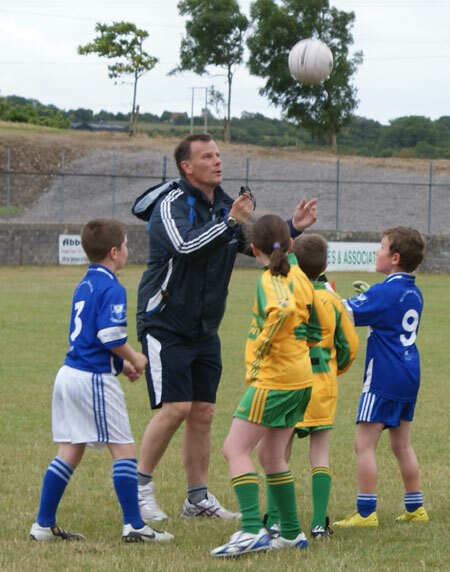 Starting at 11am the A and B competitions ran off well, thanks in no small part to the efficient officiating of Conor Patton, Val Murray, Sylvester Maguire and Terence McShea. 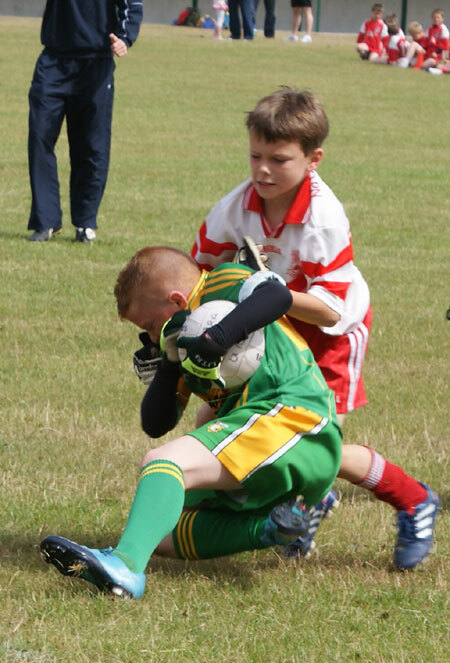 The whistle blew on the last game at 3.30pm. 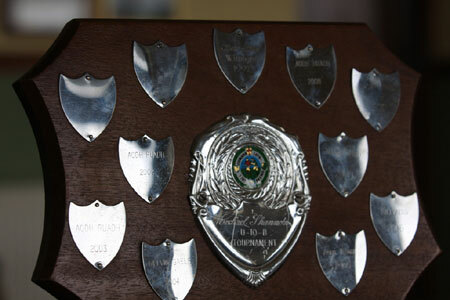 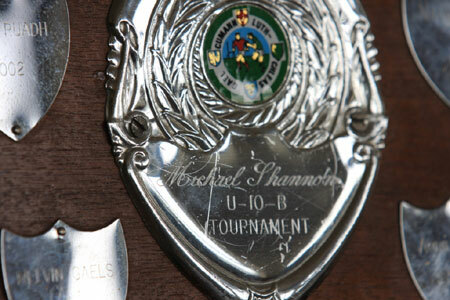 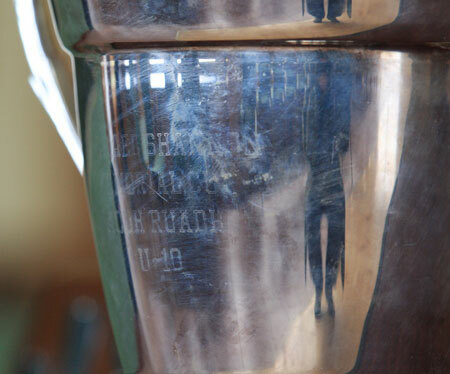 The referees awarded the 'A' team of the tournament trophy to Killybegs, and the 'B' team of the tournament trophy to Four Masters. 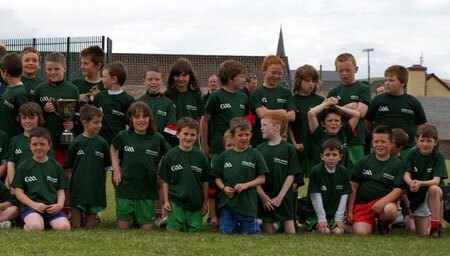 After the presentation of trophies every player was presented with a specially commissioned T-shirt as a memento of the 2010 Mick Shannon blitz. 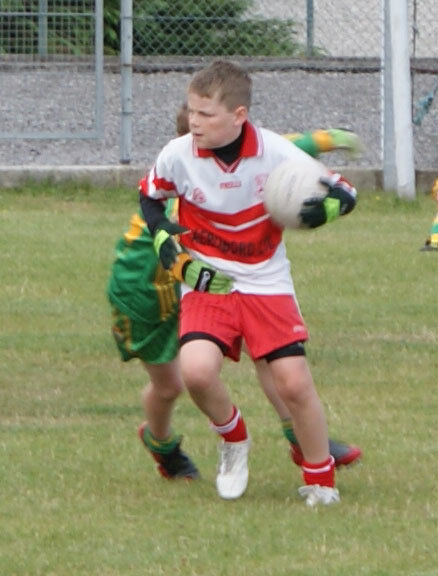 These were very generously sponsored by Billy Cleary at the Abbey Garage, Pearse and Rory O'Neill of the Bridgend, Ballybookies and Joe Roper. 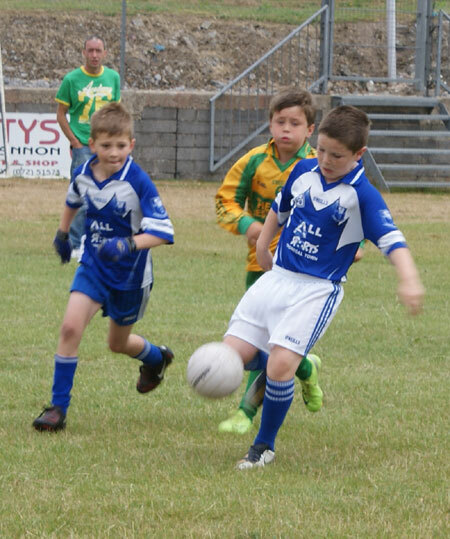 There was a great spread laid on in Aras Aoidh Ruaidh throughout the day for all the teams and serious credit must go to the parents who did a lot of work feeding the masses on the day.